Sean (who you should follow on Twitter) went on to mention some of his favorite Business Jump titles, including two works by Noriyuki Yamahana that sound particularly appealing. 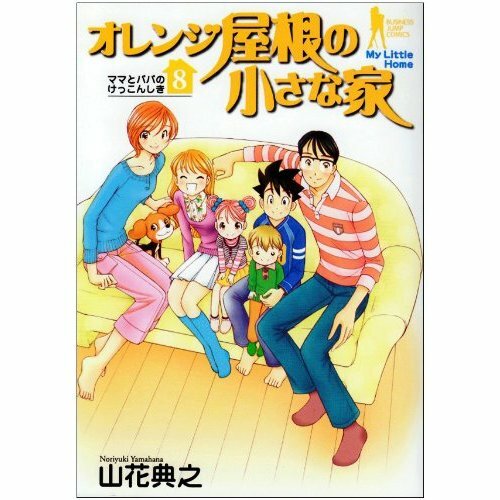 I’m not having much like finding it on Shueisha’s web site, but here’s a link to an Amazon listing for what I believe is the first book in the eight-volume bunko collection of the series. Yamahana’s other enticing Business Jump series, Orange Yane no Chiisana Ie, is a little easier to find, but it’s a more recent offering. Its eight-volume run concluded in 2005. This one sounds like blended-family romantic comedy along the lines of The Brady Bunch, but without the associated nausea. 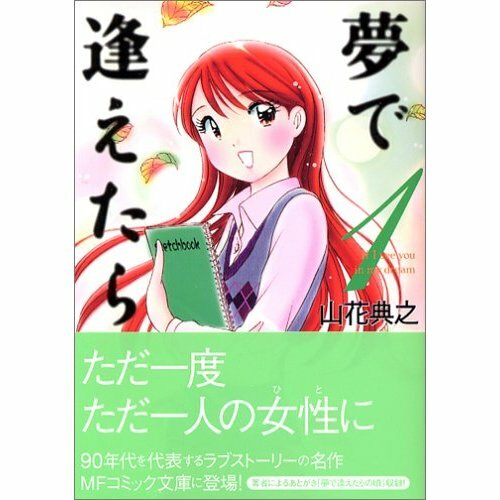 Yamahana’s current Business Jump series is Noel no Kimochi, which seems to be about a talented figure skater who’s in love with her older brother, as near as I can figure. I’ll hold off on requesting that one. At least nine times out of ten, comics from Japan tend to be about winning. Characters win the person of their dreams or the national championship or the right to be called King of the Pirates, or what have you. So it’s always fun to see a little failure in manga form. 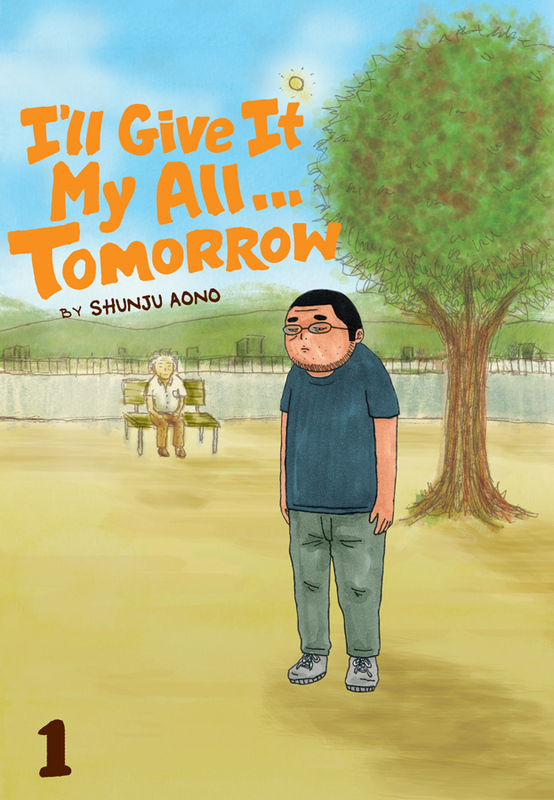 It’s always possible that the schlub who stars in Shunju Aono’s I’ll Give It My All… Tomorrow (Viz) will eventually succeed, or at least that he’ll stop quitting halfway through whatever he happens to be trying, but in the meantime, we can revel in the crushing disappointment. I should also note that the series is really funny and that Aono seems to be trying to eschew the “But isn’t this loser secretly really awesome?” undertones that inform similar schlub-centric comics. Viz has announced the print edition, and the press release is after the jump. This also gives me a chance to remind you that you can read a whole bunch of IKKI series for free and that the folks at Viz who manage the initiative have a really nice blog where they cover an appealingly wide range of topics. Recent entries have featured an upcoming release from Vertical, excitement over the return of Lady Sif, and an appreciation of the ongoing Free Comic Book Day that is the webcomic. You are currently browsing the The Manga Curmudgeon blog archives for the day Friday, May 7th, 2010.